Ex-US developed markets exchange traded funds are surging this year and Japan ETFs are participating in that trend. For example, the iShares MSCI Japan ETF (NYSEArca: EWJ) is up more than 11% year-to-date and was seen hitting new highs on Tuesday. 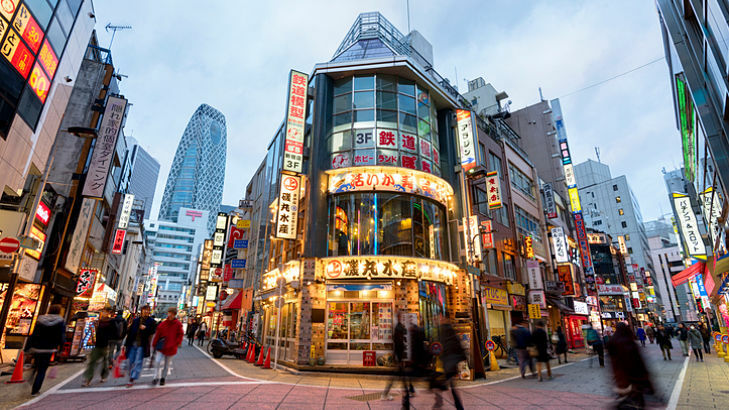 There is growing, data-driven optimism about Japan, the world’s third-largest economy behind the U.S. and China, and those robust economic underpinnings could fuel more upside for ETFs like EWJ and the WisdomTree Japan Hedged Equity Fund (NYSEArca: DXJ). “The Nikkei Japan Composite PMI Output Index rose from 52.6 in April to 53.4 in May, marking the eighth successive month of expansion and the best performance since January 2014. Notably, the latest reading pushed the second quarter average to 53.0, up from the first quarter’s mean of 52.5, and remained consistent with robust GDP growth,” said Markit in a note. The iShares Currency Hedged MSCI Japan ETF (NYSEArca: HEWJ) and Deutsche X-trackers MSCI Japan Hedged Equity ETF (NYSEArca: DBJP) are among the other well-known Japan ETFs for investors to consider. Like the aforementioned DXJ, DBJP and HEWJ are currency hedged. EWJ is not currency hedged. Last year, the yen also depreciated after Prime Minister Shinzo Abe’s ruling coalition acquired a majority in the parliament’s upper house. Japanese equities rallied and the yen weakened on hopes that the more hands-on administration would enact further measures to support the economy.